The Best Melbourne Blogs from thousands of Melbourne blogs on the web using search and social metrics. Subscribe to these websites because they are actively working to educate, inspire, and empower their readers with frequent updates and high-quality information. Also check out Top Melbourne Youtube Channels list for Top videos on Melbourne. Melbourne newsletter is a comprehensive summary of the day's most important blog posts and news articles from the best Melbourne websites on the web, and delivered to your email inbox each morning. To subscribe, simply provide us with your email address. Melbourne About Blog City of Melbourne Blog is a blog about travel, art, shopping and tells about the food culture in Melbourne. Facebook fans 390,825. Twitter followers 342,749. Melbourne About Blog We Know Melbourne is a blog that helps you to unlock all of the city’s secrets with their expert concierge service. This blog will help you navigate your way around Melbourne’s endless array of incredible cafes, funky bars, inspiring galleries, fabulous shopping and must-see attractions. Facebook fans 3,539. Twitter followers 8,685. Melbourne About Blog OnlyMelbourne is a curated web based magazine and what's On Calendar. Follow this site to know things to do in the world's most liveable city, Melbourne. Facebook fans n/a. Twitter followers 76,926. Melbourne About Blog Concrete Playground provides some much-needed quality control, connecting the audience with the very best people, places, events and experiences around them. Facebook fans 183,864. Twitter followers 16,655. Melbourne About Blog Welcome to Melbourne Girl, an insider’s travel guide to Melbourne. This blog by Emily Collie curates the best things to see, do and experience in Melbourne. Facebook fans 12,419. Twitter followers 13,926. Melbourne, Victoria About Blog We Love Melbourne is a Melbourne travel guide which gives you all the information about what to do and where to stay in Melbourne. Follow this site for more updates on places to visit in Melbourne. Melbourne About Blog A Chronicle of Gastronomy is a website involving food (usually of the restaurant variety) and opinions on particular foods, dishes and restaurants at the time of the visit. Melbourne About Blog Melbourne on the Move is a blog that provides transport for any occasion whether you are looking for a day tour, an airport transfer, a bus for a weekend away. Facebook fans 2,116. Twitter followers n/a. 495 Collins Street Melbourne About Blog InterContinental Melbourne is a blog about what to do in Melbourne & is a one-stop source for all things Melbourne, lifestyle and travel. Facebook fans 11,974. Twitter followers 1,568. Melbourne About Blog Lip's Temptations is a blog about lifestyle, food and travel by Sharon Halim. This blog is a documentations of the adventurous, whimsical and wonderful journey of what she eat, where she travelled and occasionally edgy, a feminine fashion style. Facebook fans 267. Twitter followers 523. Melbourne About Blog Sarah Jane is a Melbourne based Fashion, Beauty & Lifestyle blog. Sarah Jane encompasses musings of style, inspirational interviews, informative fashion and beauty reviews. Melbourne About Blog On The List Melbourne is Melbourne’s only weekend what’s on video and event listing site. This blog that help you discover something different and exciting happening in Melbourne each weekend. Facebook fans 3,897. Twitter followers 1,332. Melbourne About Blog Suzie Scribbles is a Melbourne based food blog bringing you competitions, reviews and of course great food photos from all over Melbourne. Melbourne About Blog Melbourne Convention Bureau is a business development organisation and its core function is to secure international and national conferences for the state. Facebook fans 2,407. Twitter followers 3,248. Melbourne About Blog Lady Melbourne is a blog by Phoebe Montague who gives a hometown perspective on fashion, beauty and stylish lifestyle needs, with an ever-present eye on the most tasteful aspects of a fashionable world. Facebook fans 6,201. Twitter followers 14,021. Melbourne About Blog A subreddit for Melburnians and Melbourne enthusiasts! Facebook fans n/a. Twitter followers 559,318. Melbourne, Victoria About Blog Medibank Melbourne Marathon Festival is a news feed for upcoming marathon events and related queries in Melbourne. Facebook fans 33,891. Twitter followers 5,159. Corner Coventry & Cecil Streets, South Melbour About Blog South Melbourne Market has been a treasured inner city landmark and a favourite amongst locals and visitors. It is the quintessential village market, a place where people come not only to purchase fresh food, but to meet, eat, drink, shop, discover, share and connect. Find all the the latest South Melbourne Market news, events, recipes and stories on our blog. Facebook fans 35,120. Twitter followers 8,200. Melbourne, Australia About Blog Melbourne WebFest is Australia's international web series festival and it's mission is to recognize Web Series creators and educate the community about the emerging trends of online media and its role in entertainment. Facebook fans 4,840. Twitter followers 7,583. Melbourne Australia About Blog Karen Woo is a savant creative talent who is fast becoming one of Melbourne’s sought after street style, lifestyle and fashion photographer. Facebook fans 761. Twitter followers 186. Melbourne, Australia About Blog Metropole is Australia's leading firm of property strategists who give home buyers independent and unbiased property advice. Follow this site for more updates on property investment advice for investing in Melbourne. Facebook fans 10,921. Twitter followers 55,623. Melbourne About Blog Consider the sauce is a Melbourne's food blog which provides information about the marvellous food and cultures of Melbourne's western suburbs. Melbourne About Blog Melbourne Real Estate is a boutique real estate agency with an attentive and courageous culture. This site contains full-service project marketing and property management consultancy. Facebook fans 3,471. Twitter followers 317. Melbourne About Blog Couturing is an unique Australian Women and Men's Fashion media. Follow the blog for skincare, beauty and lifestyle tips and for some amazing giveaways. Facebook fans 5,169. Twitter followers 27,976. Melbourne, Victoria About Blog Welcome to Travel is a travel blog by Darryl New and Adam Ogle who travel Melbourne like a local and show you all the best places to visit in Melbourne and beyond. Facebook fans 13,440. Twitter followers 90. Melbourne, Australia About Blog BioMelbourne Network plays a critical role in connecting clinicians, researchers, finance and industry and promotes the growth of the sector’s infrastructure and facilitates the development and commercialisation of new drugs, devices, diagnostics and digital health technologies here in Melbourne. Melbourne About Blog Burgers of Melbourne is helping the burger lovers around town enjoy best places to eat in Melbourne. This blog is all about eating, picturing & rating Melbourne burgers. Melbourne, Victoria About Blog Melbourne art class provides quality training for drawing, painting, life drawing, floral design and art therapy for both adults and children. The aim of the classes was to give community access to visual arts experiences and training. Facebook fans 1,280. Twitter followers 23. Melbourne About Blog Black Mark is a Melbourne art & culture critic who shares with you the Melbournian style of living and culture. Follow this blog to get more information and articles on melbourne art and culture critic. Facebook fans 542. Twitter followers 493. Melbourne, Victoria, Australia About Blog Drink Melbourne is a guide to Australian craft spirits & Melbourne's cocktail culture. Catch all the news, events and reviews of bars and cocktails in Melbourne. Facebook fans 725. Twitter followers 2,537. Melbourne About Blog Melbourne Breakfast Diary exists to bring you the best when it comes to delicious, tasty and Instagram worthy food. This site features places and the best food to eat in Melbourne. Facebook fans 3,086. Twitter followers n/a. Melbourne, Victoria About Blog Anne Whalley is a fabric, sewing and pattern specialist who is passionate about helping people dress to express themselves & help them choose the wardrobe they need for their next step in life. In this blog, you will find expert advice from Anne for a complete wardrobe makeover according to your lifestyle. Facebook fans 126. Twitter followers 156. Melbourne About Blog Counselling in Melbourne is a blog by experienced counsellers for sharing troubles, exploring options, discussing strategies, developing a plan, building support, eliciting clarity and encouraging strength in the patients. Melbourne About Blog A Baking Blog from Melbourne, Australia. This blog will be a journey of food, props, photography and other wonderful delights. Facebook fans 2,764. Twitter followers 272. Melbourne About Blog Brave New Eco specialises in sustainable building and renovation design, driven by beauty and resourcefulness. They also provide consultations to improve the energy efficiency of existing homes and new projects. Carlton, Melbourne About Blog Nobel Thomas Melbourne Accountants is the leading providers of comprehensive accounting, taxation and consultancy services for individuals and businesses.Check out all the latest news, tips and advice on accounting, tax and financial advisory in this blog. Facebook fans 29. Twitter followers 13. Melbourne, Victoria About Blog Eleventh beauty is an organic beauty blog and the ‘organic’ part means it stands for something bigger than the latest colour swatches. This blog contains all the tips for green beauty, how to guide and reviews of beauty product. Facebook fans 342. Twitter followers 772. Melbourne About Blog Linnie Eats All The Food is a Melbourne-based food blog with a splash of interstate and international eats. Follow her blog for more updates on food and places to eat in Melbourne. Melbourne About Blog WOLF Architects are luxury home designers who are experts at creating family homes, apartments and townhouses that function and flow perfectly. Facebook fans 1,038. Twitter followers 70. Melbourne About Blog Mr Men's Melbourne is an e-commerce site which specialises in menswear as well as accessories and grooming products. Products are hand-picked for their representation of today's menswear and lifestyle trends in Melbourne. Melbourne About Blog Melbourne Mamma is a your local guide to fashion, food, family and fun in Melbourne. In this blog, you will find what's hot and where to shop for mums, babies & kids. Facebook fans 14,920. Twitter followers n/a. Melbourne About Blog North Melbourne Books is a blog for a local bookstore located in north Melbourne. In this blog, they talk about new releases, book reviews and so much more. Melbourne About Blog Will&Jac is a blog by Catherine and Clare and they are Melbourne based wedding planners and event project managers. Find out more about the extensive range of Wedding Planning Packages Catherine and Clare can provide for your Wedding Day, and view their recent Real Weddings for further inspiration towards your celebrations. Facebook fans 760. Twitter followers n/a. Melbourne About Blog Even Better Parenting is an advice service run by Paulene Richardson and she sets up even better parenting to help make life better for busy parents and their children. Melbourne, Australia About Blog Miss Sage Sugar gives you an accurate review of Melbourne's cafes and restaurants so you can make an informed decision next time you eat out. The reviews also have a touch of frivolity as she strongly believe food should be pleasurable. Facebook fans 133. Twitter followers 3,271. Melbourne About Blog Ali Vella is a Melbourne Based career and lifestyle blog by Ali.This blog contains tips on career progression, university struggles, life hacks and much more. Melbourne About Blog Melbourne Fitness Diaries (MFD) is a female-focussed group personal training community that specialises in strength and resistance training. It provides one on one nutrition plans and personalised training programs for women of all abilities. Melbourne About Blog Motherhood Melbourne is a blog for mothers in Melbourne who can share their motherhood stories. Follow this blog for parenting tips, kid-friendly events and more. Facebook fans 1,303. Twitter followers n/a. Melbourne, Victoria About Blog Danielle Vella is a Melbourne based Beauty and Lifestyle blogger, sharing her personal style, motherhood and life in Melbourne. Facebook fans 79. Twitter followers 23. Melbourne About Blog THEY CALL ME MAGGIE is a food blog by Maggie who embarks on a food journey and has travelled to over all places in Melbourne in the quest to find the best food around. Facebook fans 774. Twitter followers 213. Melbourne About Blog Watch Them Grow Photography specialises in on-location lifestyle and fine art photography of newborns, babies, children and families in Greater Melbourne and Bayside areas. Melbourne About Blog Peggy Stasinos is a Melbourne based professional makeup artist with an experience in bridal and special events and this blog contain bridal inspiration, makeup and skincare tips, product reviews, tutorials and pretty much anything makeup related. Melbourne About Blog Mel Finance are mortgage brokers based in Melbourne who will find you a competitive deal so you can focus on finding your dream home. They will also provide you advice related to home loan to assess whether it continues to meet your needs and offers the best value for money. 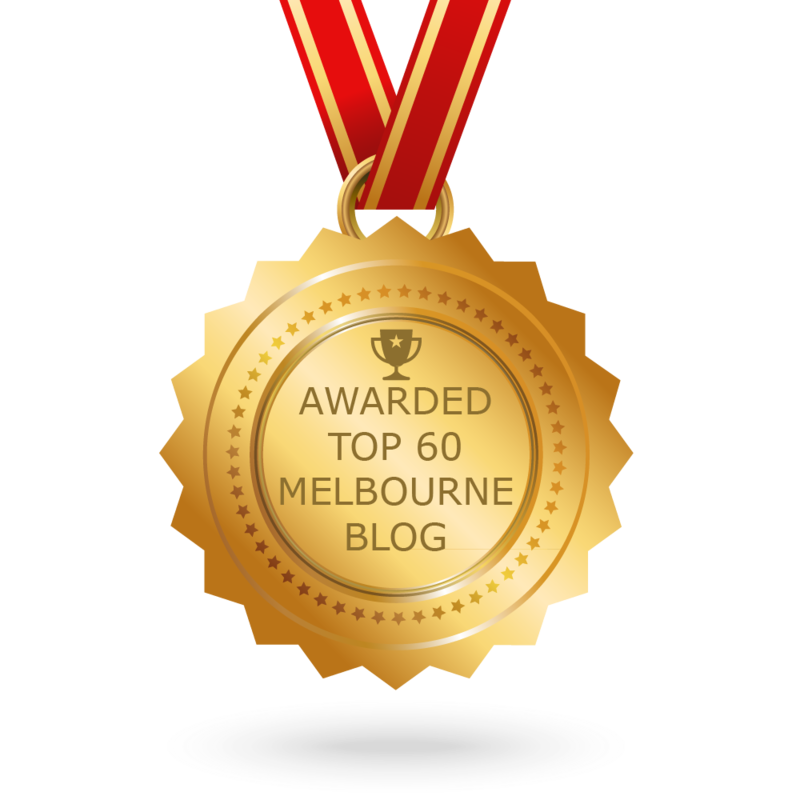 CONGRATULATIONS to every blogger that has made this Top Melbourne Blogs list! This is the most comprehensive list of best Melbourne blogs on the internet and I’m honoured to have you as part of this! I personally give you a high-five and want to thank you for your contribution to this world.